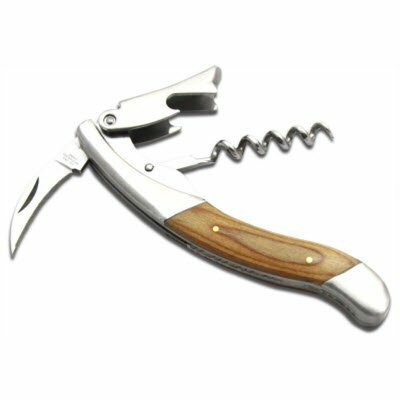 This Beechwood muli-use tool is an attractive yet heavy-duty luxury waiter’s corkscrew. 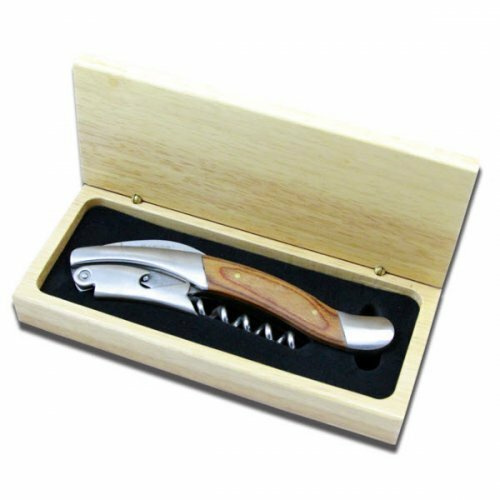 It features a balanced, long, double curved handle design for increased leverage that makes cork extraction a breeze. Beautifully constructed with beechwood scales, satin stainless bolsters, a slip joint lock and decorative file work along the back spine. 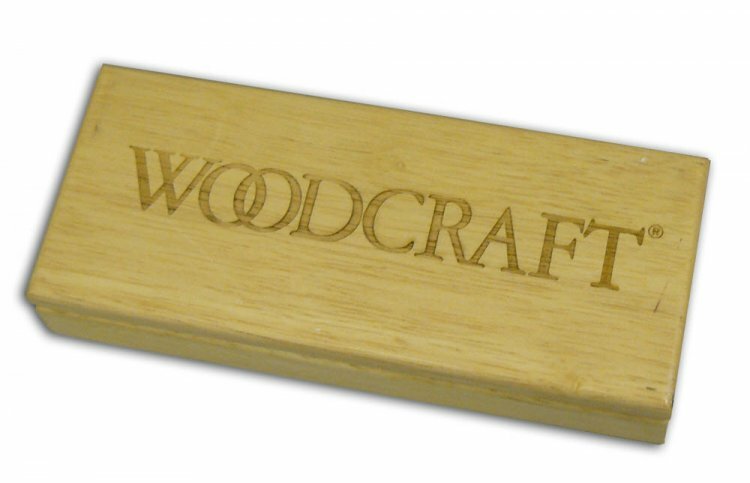 This timeless necessity comes in a monogrammed natural wood presentation box. 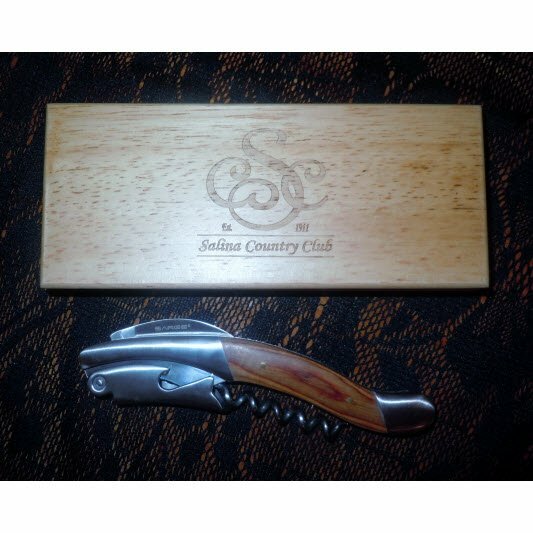 Handle and box are both engravable, making it perrfect for many gift giving occasions. Handle and box are both engravable. Instructions can be specified in the comments section. Price: $54.00 In stock! - Browse this brand: Sarge KnivesOur products are custom made to your specifications. This product ships up to 2 weeks after your order is placed.